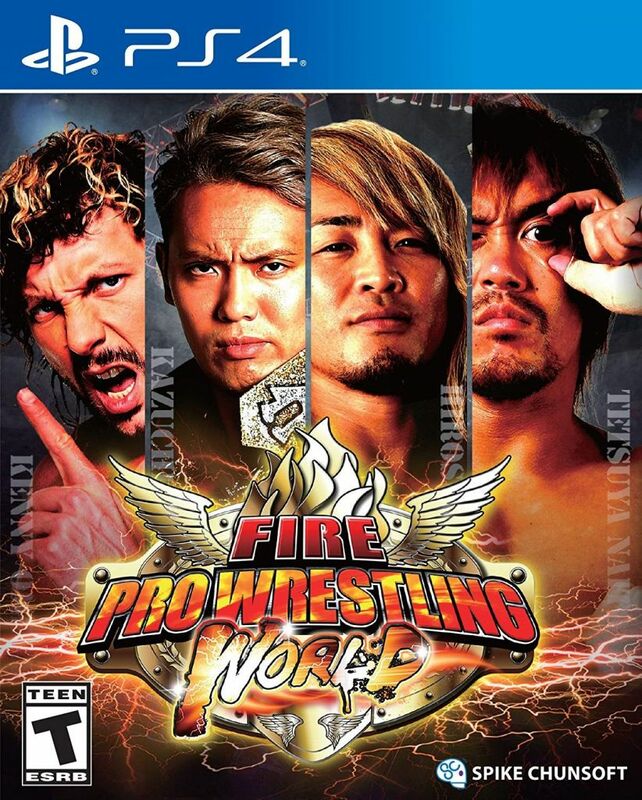 Fire… Pro… Wrestling. A name that many wrestling fans and even those who don’t follow wrestling, will likely know very well. Hell, I played the heck out of the Sega Saturn version back in the day. I can’t even recall how many hours my friends and spent playing this game. So I’m pretty hyped about the release of Fire Pro Wrestling World that’s being released on the PS4. But you know what else is pretty hype? The cover art for this game, just look at it. Look who’s gracing the cover! Kenny Omega, Kazuchika Okada, Hiroshi Tanahashi, and Tetsuya Naito. Yep, those are some big names. Fire Pro Wrestling World will make an appearance at the upcoming fighting game event, CEO 2018. This will take place on June 29 – July 1st, 2018. And if you following the fighting game scene, you’d know that Kenny Omega is a big fan. He’s shown up and competed at several events, including the most recent Combo Breaker 2018 event. He was even in the recent trailer for Cody’s introduction for Street Fighter V. So if you’re heading to CEO 2018, check out the Spike Chunsoft booth to get some hands-on with the title. As for Fire Pro Wrestling World making its way into your hands, you’re in luck. The game is already available on PC (Steam), but will also be heading to the PS4 on August 28, 2018. Real Wrestlers, Real Moves – NJPW, Japan’s premiere pro-wrestling promotion, joins the roster! Battle alongside and against your favorites in the all-new Fighting Road scenario mode. Mix Up the Rules – Modes include Deathmatch (steel cage, barbed wire, or landmines), no-holds barred Gruesome Fighting, and SWA homebrew rules that mix pro-wrestling and MMA. Unlimited Customization – Create your dream wrestler from over a thousand devastating moves, and even more body parts, to battle for custom championship belts. Personalize the ring, mat logos, and even the referee! Realistic Simulation – Give your creations personalities with a robust system that defines their every action. Does your wrestler play to the crowd, or play dirty? You provide actors for the ringside drama. Play Online – Share your custom wrestlers and organize bouts with players from around the world. Yeah, that’s all cool and all. However, the best part of the game is making your own characters. Recreate existing and past wrestlers or make someone truly unique and amazing. The options are limitless. Bodies, moves, ring music (at least on the PC) and more await you.